One of the most common requests we get at Trail is for more reviews of longer waterproof jackets. So here goes! The Craghoppers Kiwi for men and Madigan for women come in a ‘standard’ version (£90) and the Long version featured here at £100. A damp derrière is a thing of the past when you are wearing this jacket – and you can leave those waterproof overtrousers in the rucksack longer too, as this really protects those nether regions! The material is heavy-duty polyester with a waterproof membrane, which while not offering the lab test results of higher-priced waterproofs still controls condensation well, thanks in part to the mesh lining. The styling may be a little too ‘traditional’ for some users; but you do get six external pockets, and an OS map just about fits in the chest pockets, while all the pockets can be accessed while wearing a rucksack with a hipbelt. The hood can be zipped off and has a stiffened peak, but it does not move with the head as easily as others. The main drawback here is the weight of 1080g (size men’s L), which is pretty heavy. Some weight could be shaved with small design changes, like fewer pockets for example, but a longer jacket will of course always be heavier than a shorter equivalent. 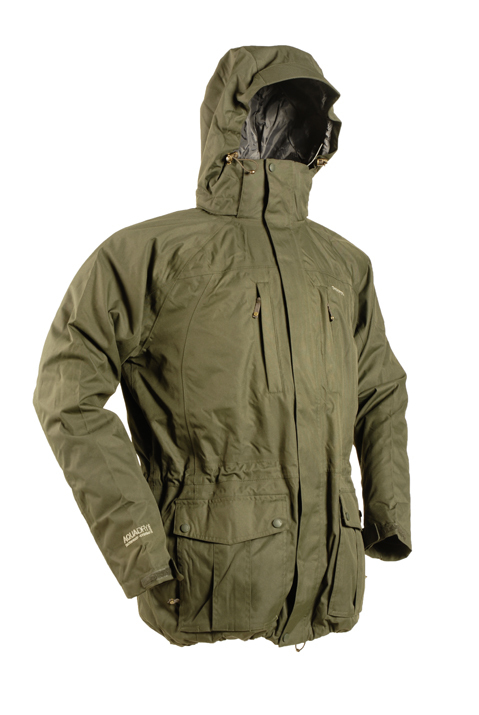 The Craghoppers Kiwi Long/ Madigan Long is a lot of jacket for the money though. The Craghoppers Kiwi Long/ Madigan Long’s longer design will please many, the style may be less appealing and the weight is a drawback for backpacking. But no complaints about the price!